Harley-Davidson® Touring bikes are perfect for any rider in the Overland Park and Lenexa area who wants to embrace the freedom of the open road. 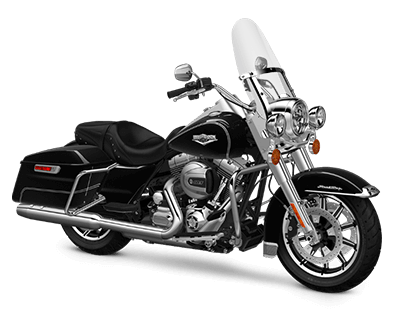 These are all full-featured touring motorcycles that can carry you and plenty of cargo on even the longest rides. Plus, for 2017 all Touring models get the brand new Milwaukee-EightTM engine that provides more power, more performance, and a better ride than ever before. 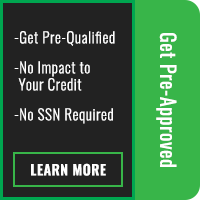 If that sounds like the recipe for your next motorcycle, then visit us here at Rawhide Harley-Davidson® in Olathe to find the model that works best for you! The Road King® is effortlessly iconic, boasting a stunning blend of classic and modern styling. 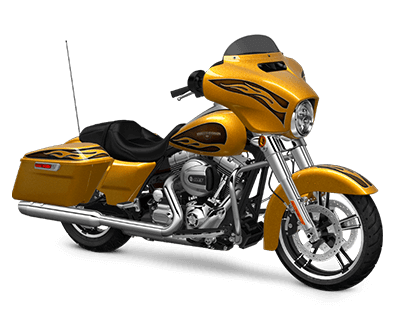 Not just breathtaking to behold, this model’s ergonomically designed hand controls, revamped suspension, stiff front end, and deceptively large saddlebags make it an ideal mate for the open road, while plenty of premium chrome accents help it stand out from the crowd. You’ll be sure to turn heads in Overland Park, KS. 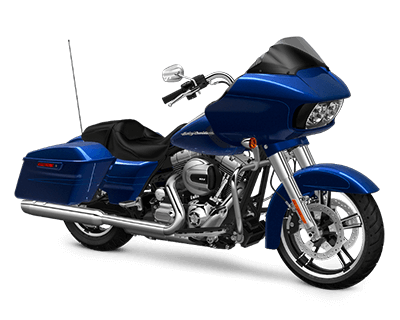 The Harley-Davidson® Street Glide® is a top motorcycle, and this model just keeps improving. This year’s model has been given a more powerful engine, a new suspension system in the front and rear, and a Boom!TM Box 4.3 radio, which blasts tons of volume from crystal-clear 5.25-inch speakers. The Road Glide® provides wind-cheating fairings to reduce head buffeting, improve fuel economy, and deliver a smoother ride. The lights provide strong illumination across all situations, and the handlebars are close to the rider for all-day comfort. 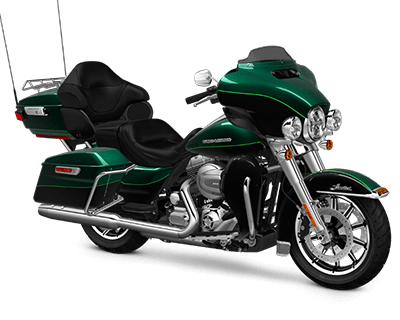 The new Milwaukee-EightTM engine makes one of the best Harley-Davidson® Touring models even better. 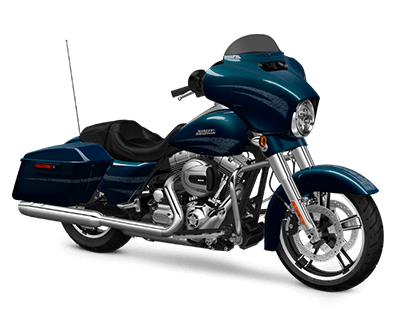 The Street Glide® Special possesses stripped-down styling that belies its wealth of modern technology. Adjustable suspension means that Lenexa riders can customize their ride to handle either large or heavy loads, while a Boom!TM Box 6.5GT radio with a 6.5-inch full-color touchscreen provides solid entertainment, and a voice-recognition system means you won’t even have to take your hands from the handlebars to control your music. 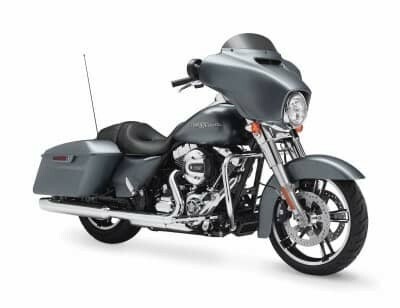 Proving that even top-of-the-line models like the Road Glide® can be improved, this model adds a wealth of additional features, including streamlined styling and more advanced technology features. You also get the powerful Milwaukee-EightTM 107 engine, new for the 2017 model year. 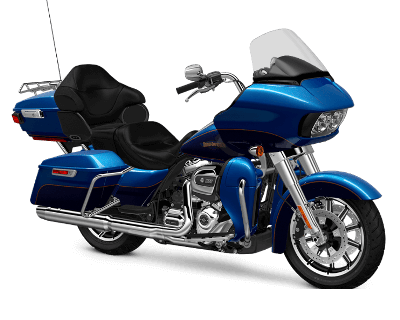 The Electra Glide® Ultra Classic has been precision-engineered to handle the long haul. As such, this model is all about rider comfort. A wide-set handlebar with easy-to-reach, easy-to-operate controls makes riding feel effortless, while a highly supportive backrest and armrests ensure passenger comfort when you need to go the distance. This year’s model also provides generous seat space and leg room. One step up from Special is Ultra. This bike upgrades essentially everything about the Road Glide® platform. It comes standard with a premium infotainment system that features smartphone integration, streaming audio, Bluetooth connectivity, and navigation. You also receive a more aerodynamic fairing for even more long-haul comfort. 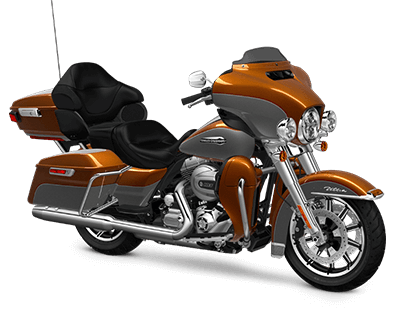 The Ultra Limited combines the comfort of Electra Glide® models with the technology of Street Glide® models while still adding its own unique features. For example, you’ll enjoy heated handgrips with six settings, as well as a Tour-Pak luggage carrier, which can easily hold two full-face helmets. The front and rear suspensions have been lowered 1 inch from the standard Ultra Limited, bringing this model closer to the road and making its seat the lowest available for a top-of-the-line touring motorcycle. That means a lower center of gravity for confident handling and easy stopping.